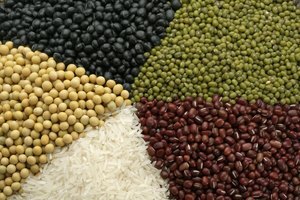 What Vegetables Have No Carbs? Carbohydrates are in almost everything we eat, from veggies to pasta. Carbohydrates are units of macronutrients, which are used as energy in our bodies. Scientists and health experts distinguish between two types of carbohydrates: simple carbs and complex carbs. 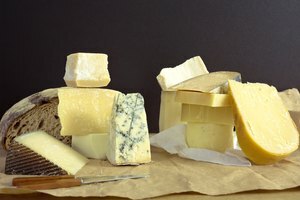 Simple carbs, according to CarbsInformation.com, are sugars such as glucose and fructose that we ingest by eating sweets and syrups. Complex carbs are starchy carbs that we ingest by eating certain breads, rice, pastas and other starchy foods. Vegetables are mostly low in carbohydrates but do contain some. 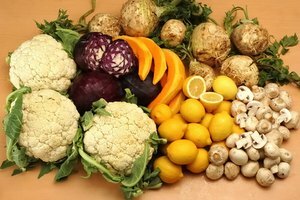 However, there are a few vegetables that are low enough to be considered zero-carb foods. 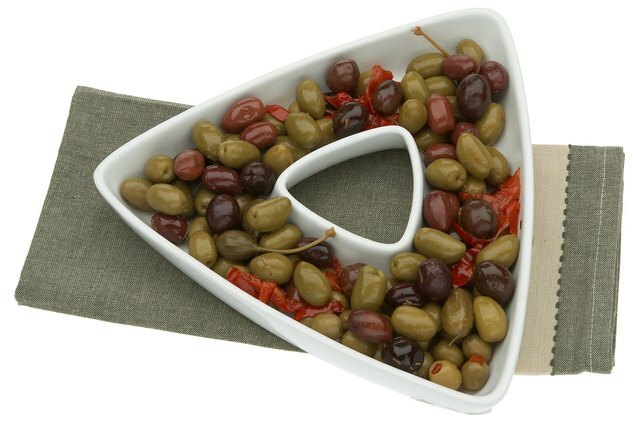 Though most people think of them as a vegetable, olives are technically a fruit--and they are a no-carb fruit, which is rare. 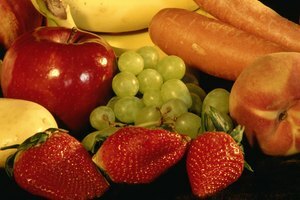 Most fruits naturally store carbohydrates in the form of fructose, and so none of them are on a zero-carbohydrate food list. Olives, however, are not sugary like other fruits and so do not store carbs. 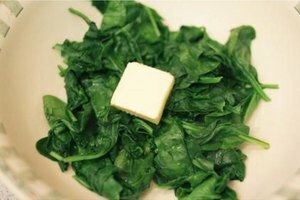 There is only one carbohydrate in 30 grams of spinach, according to Nutritiondata.com, which makes it an excellent zero-carb vegetable. 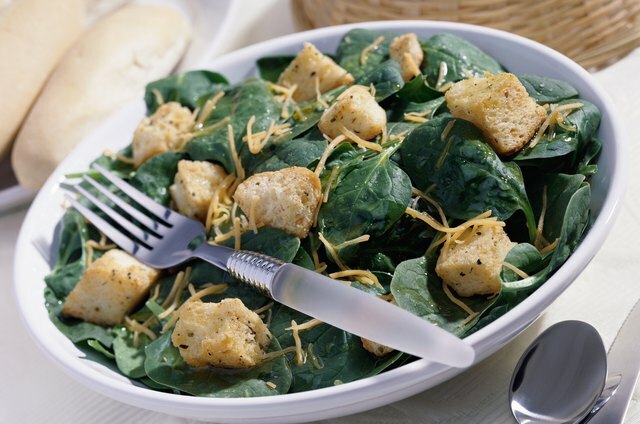 While it’s low in that arena, spinach is high in nutrients such as zinc, niacin, and vitamins A, C, E, and K, as well as in iron, magnesium and potassium. 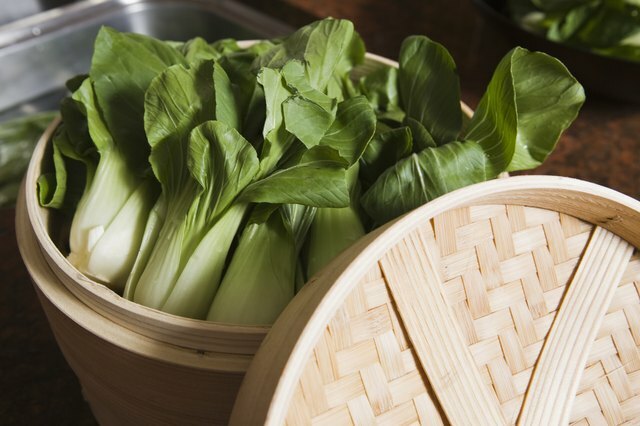 Bok choy is a cabbage-like leaf vegetable and, like most leafy greens, is a very low-carb veggie. One cup of bok choy has only 3 carbohydrates. Also, one cup of this vegetable has as much calcium as ½ cup of milk. 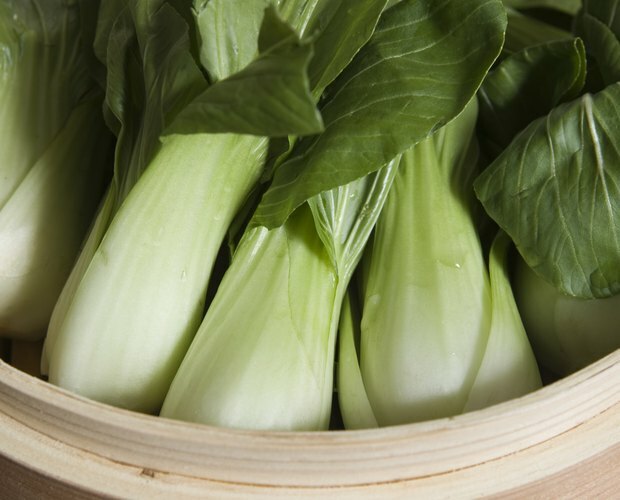 Bok choy is rich in vitamin C, nitrogen and fiber. 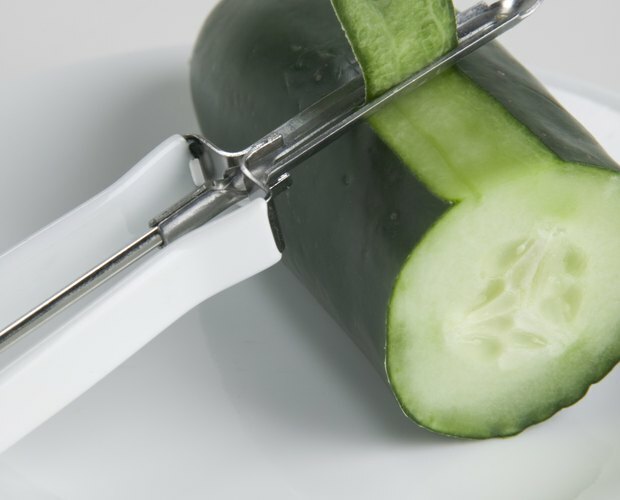 With 5 carbohydrates in one medium-size cucumber, this is a very low-carb vegetable. 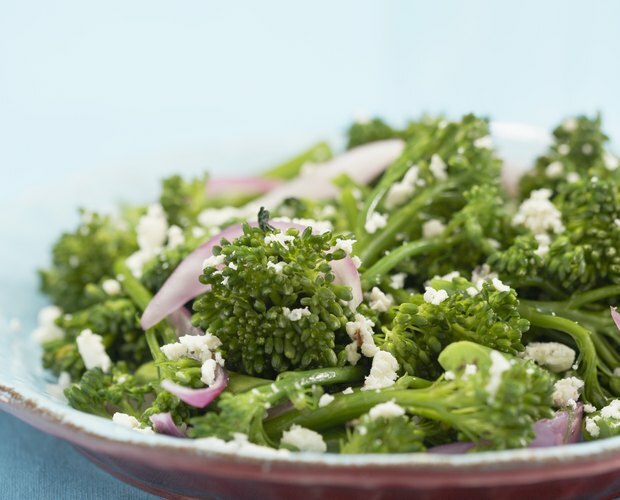 This veggie can be steamed, sautéed, braised or just cut up and thrown over your no-carb spinach salad. There are different kinds of broccoli. Most of the time we buy Italian green broccoli, which is what is usually in the supermarket. In one cup of cooked broccoli there are 8 carbohydrates. 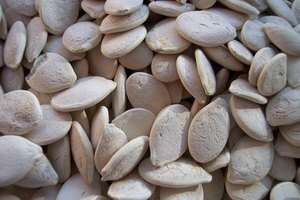 There are also 116mg of vitamin C, 4.5 grams of dietary fiber, 456mg of potassium, and 5 grams of protein. Broccoli is full of nutrients and there is little trade-off in the carb department.